We have more than 100 units on stock so they are shipping immediately. but I was told that the software wasn't ready yet, do you have a estimated on when it's ready? that is correct, the mono/stereo in the LCD menu have been reversed due to some practical issues. Firmware for DSP is almost ready. How do you like the sound and stereo separation? need to boost the input audio levels I guess. Consider audio processor, several software variants exist. Without this you can't expect to sound as loud as commercial stations, they all use one (usually expensive hardware version, they start at around 1500 euro). I'll add it in the next manual revision, its on my TODO list. May take 1-2 weeks. Yes, there is extension connector where you can plug our RDS, but you can use it also to inject any other signal, the pin to use is MPX IN. Hello, my order SE6000AN+ arrived yesterday. Thanks to a good product. Check the manual for jumper positions. Its also clearly shown on the board itself. If you are in EU (Spain) set to 50uS. South America or US: set to 75uS. For USB just connect to your PC via cable and it will work immediately. The analog inputs will work at the same time. Thank you for the SE6000. It works with Sam broacaster , breakaway processor and the result is amazing. I have a question. In the user manual , chapter 5 , which describe how to setup the encoder correctly. I am looking for trimmer (J) [Now adjust trimmer (J)....] but i can't find it. Where is my wrong ? DSP model has trimmer J, the AN+ version does not. 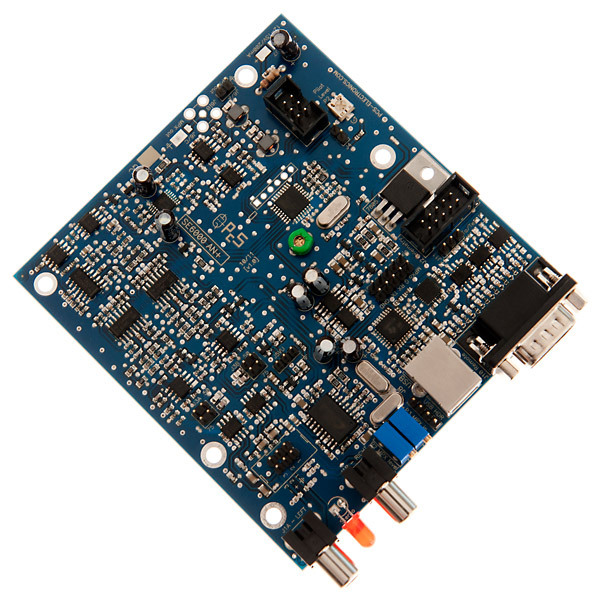 I'm wondering about the soundcard chip that is used on these boards : could it be recognized by other systems than Windows ? Like Mac OS and Linux ? If I assume that the chip is pretty common, it might be seen as an AC'97 audio adapter, or something ? In that case, it would be compatible with all systems. Yes, it should be automatically recognized by any operating system.